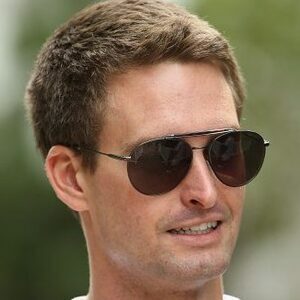 Evan Spiegel net worth and salary: Evan Spiegel is an American entrepreneur who has a net worth of $2.5 billion. 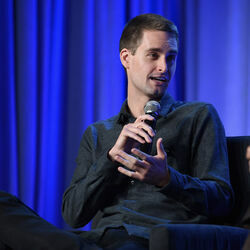 Evan Spiegel was born in Los Angeles, California and went on to graduate from Stanford University. He co-founded Snapchat with college frat brothers Bobby Murphy and Reggie Brown. Snapchat is an online application that has become immensely popular in the last few years, especially among teens and younger smart phone users. As of this writing, Snapchat users send 700 million+ photos and videos every day. The application allows you to photograph something, add text or sketch on the image, and then send it to a controlled group of recipients. You can then specify how long the person can view the image from 1 to 10 seconds. After that, the image is deleted from their smartphone and from the Snapchat server. The company has grown exponentially since 2011, and Facebook recently tried to acquire the app for $3 billion dollars. Mr. Spiegel turned them down. In August 2014, Snapchat took on an investment from Venture Capital firm Kleiner Perkins that valued the company as a whole at $10 billion. 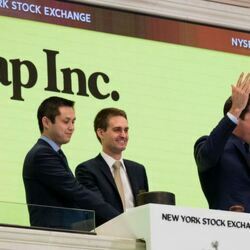 On March 2, 2017, Snap Inc debuted on the New York Stock Exchange. The company was expected to go public at $17 per share but actually opened up at $24. On the day of the IPO Spiegel sold 16 million shares resulting in a $272 million pre-tax windfall (roughly $180 million after taxes). 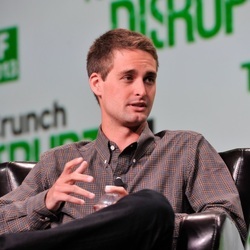 Evan Spiegel net worth over time: Spiegel still owns 210,970,819 shares. At the peak of the stock's price, his shares were worth around $5.7 million. At the stock's lowest point, as recently as January 2019, Evan's shares were worth $1.5 billion. By March 2019, his net worth rose back up to $2.5 billion. At the time of the IPO, Spiegel was 28 years old, which made him one of the youngest billionaires on the planet.